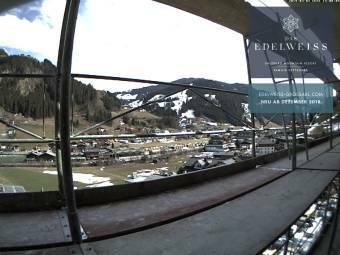 Hotel Edelweiss****superior - This webcam is showing the hotel Edelweiss in Grossarl, Austria, and the Panoramabahn in the Background. Großarl: Webcam Hotel Kristall, 0 mi. Großarl: Rattersberghof Grossarl, 0 mi. Großarl: PANOMAX Großarl TVB, 0.4 mi. Dorfgastein: Dorfgastein Bergl, 4.4 mi. 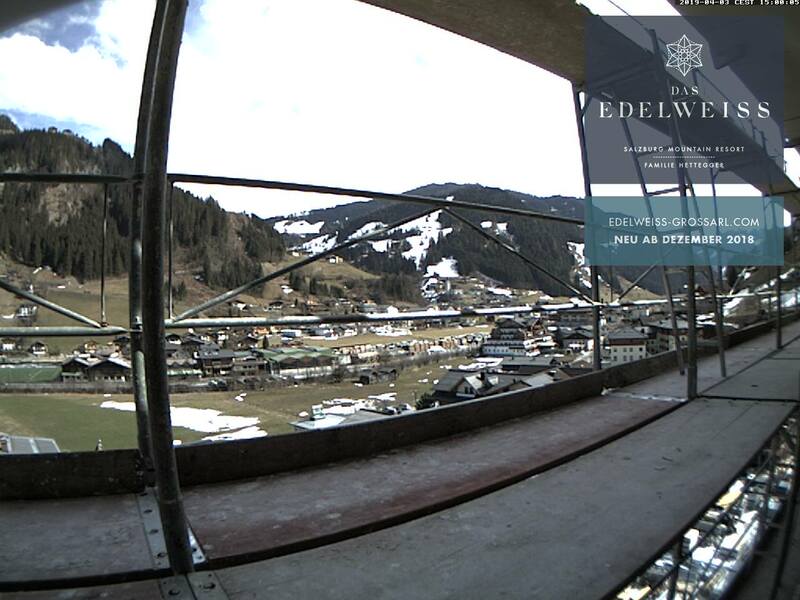 This webcam Großarl with the theme Buildings was added on May 2, 2007 and is operated by Hotel Edelweiss Grossarl. It got 4035 visitors since then. Shouldn't this webcam work or should the link be wrong please report that here. You can add this webcam here to myCams.